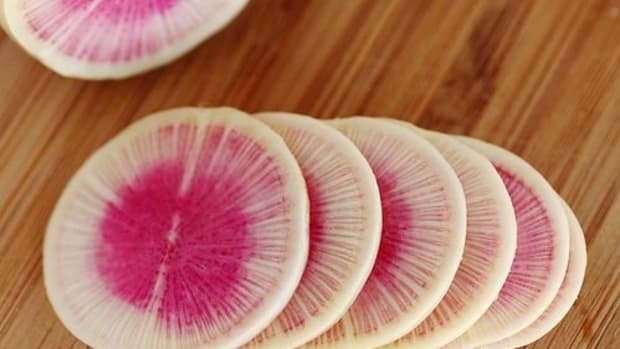 I first discovered the watermelon radish through my coop, though I didn&apos;t realize it at the time. After all, from the outside, a watermelon radish doesn’t really look like much: a pale globe no different from any other root veggie. 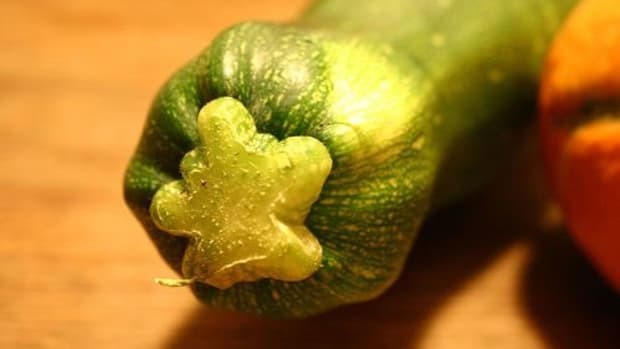 I thought it was a turnip. Oh, how wrong I was. 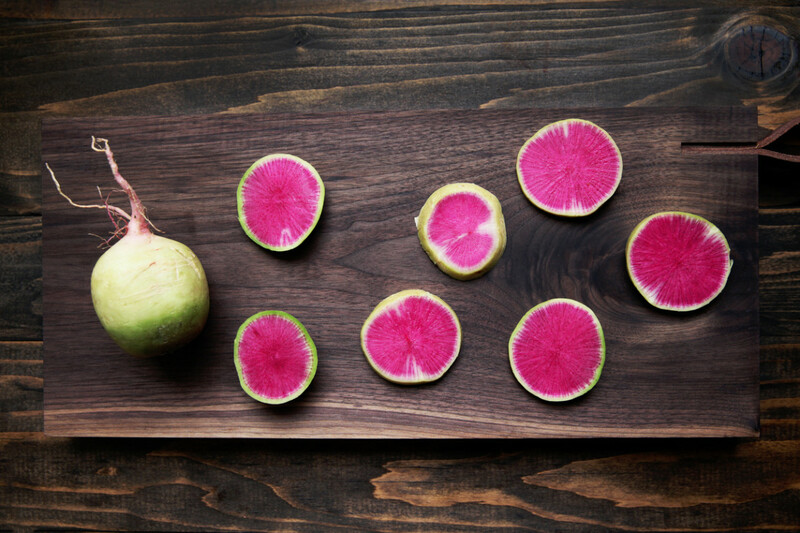 Traditional Chinese medicine has long praised the watermelon radish, as it’s jam-packed with phytochemicals and minerals like phosphorous, potassium, calcium, and magnesium. 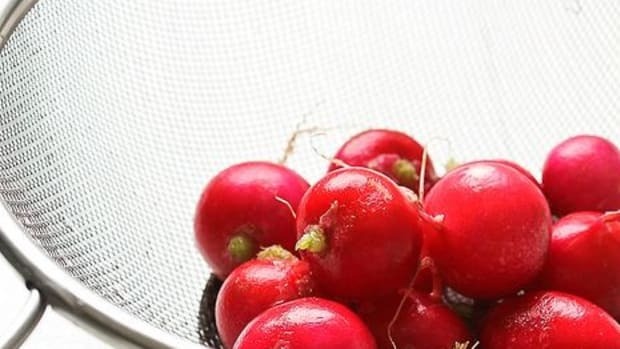 Watermelon radishes are also rich in folate, vitamin C, vitamin A, and niacin. 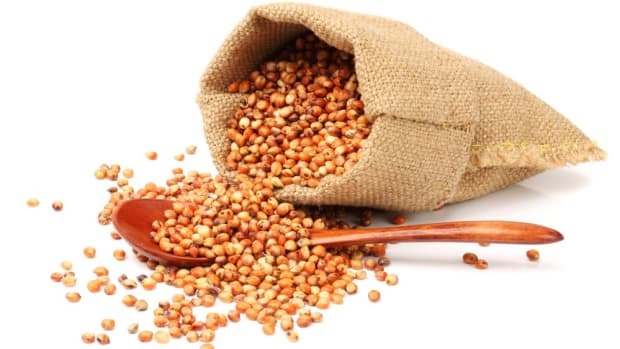 They&apos;re low in calories and high in water, making them great for hydration. On top of avocado toast. 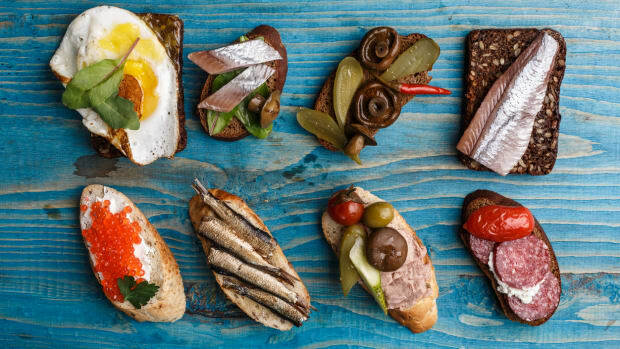 With butter, sea salt, and bread, as a spring answer to bruschetta. 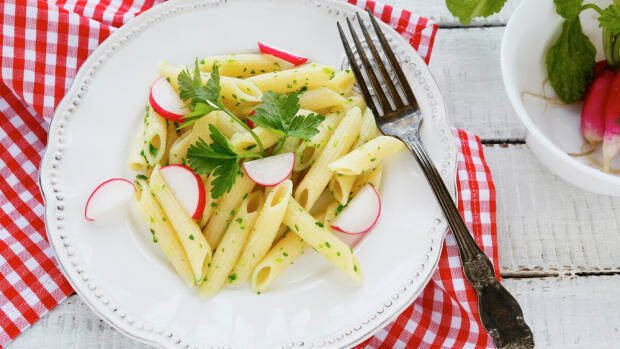 Instead of croutons on your favorite salad. To add more flavor and crunch to sandwiches. 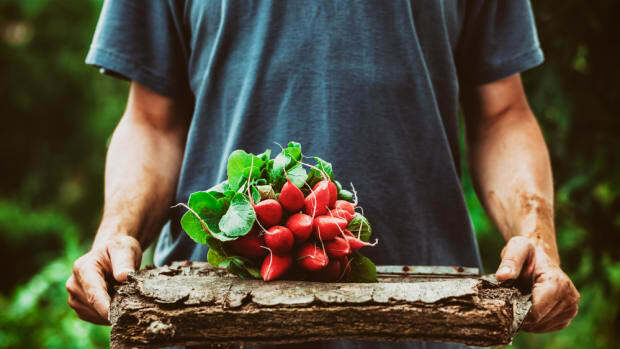 Pickling watermelon radishes lends even more flavor, and you can even roast them simply with olive oil and salt to mellow them and bring out more of their natural sweetness. I also like to roll thin slices of watermelon radish around marinated veggies for an all-veggie play on a taco. 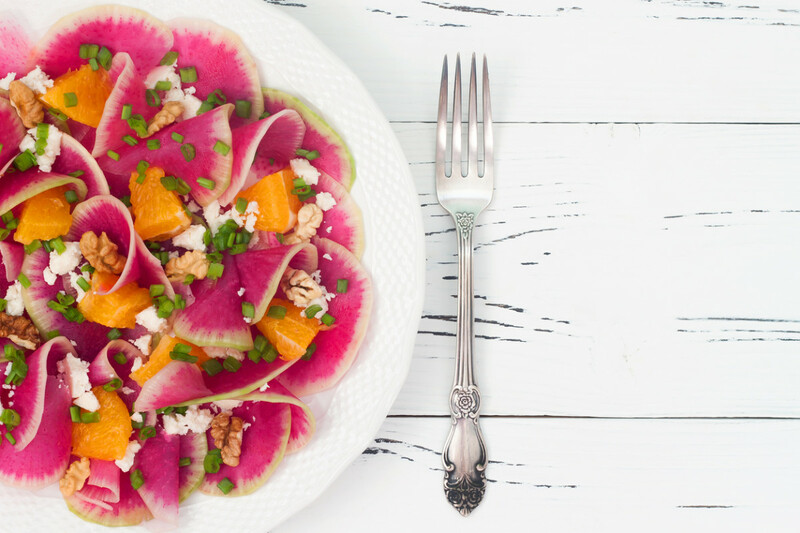 Once you&apos;ve started playing with watermelon radishes, you&apos;ll discover all sorts of different ways to use them, like in the beautiful orange, goat cheese, and watermelon salad above, or in the kale and watermelon radish salad below. Preheat the oven to 400 degrees. Toss the squash and olive oil together, and season with salt. Roast for 20 minutes, or until browned. Meanwhile, tear the kale into bite-sized pieces, and dress with the hazelnut oil and the white balsamic. Massage to soften the kale slightly. 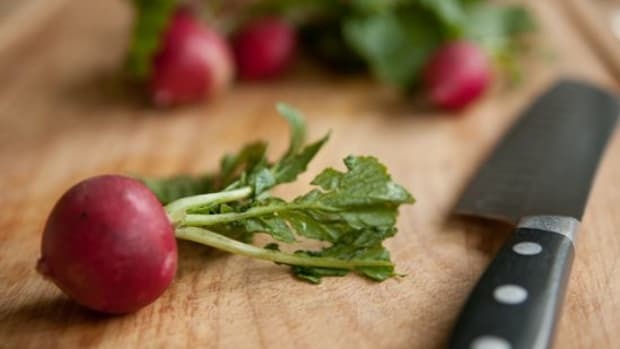 Use a mandoline to slice the radish into thin slices. 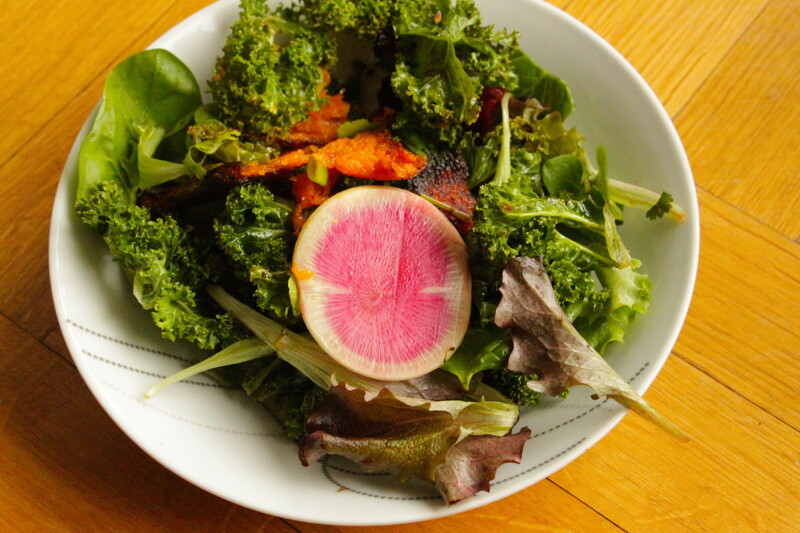 Toss the dressed kale, hot squash, and mesclun greens together, and top with the watermelon radish.